Dating has, and always will be, a complex ritual. Beyond the nervousness of a first date, there is always the fear that the date will not be fun. 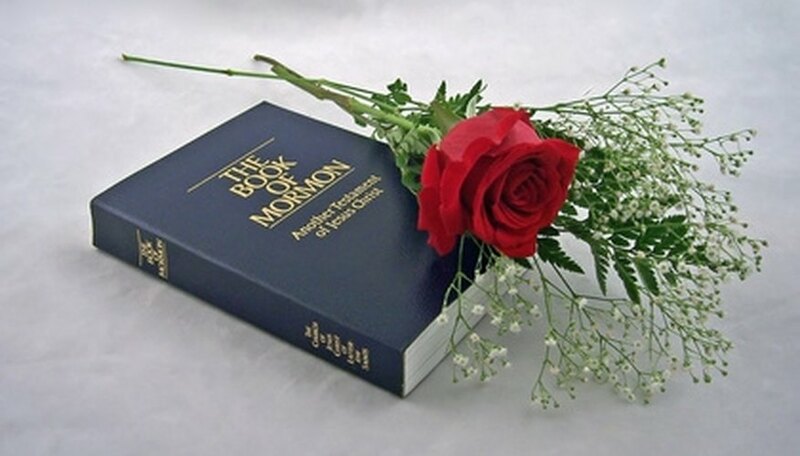 LDS teens and young adults can ensure a successful first date and many more like it with just a little bit of planning. Dates involving groups tend to work best for starters, because there is always a conversation going. When selecting friends for a group date, be sure to include at least one outgoing individual who will help get the conversation rolling. Plan but don't over-plan your date. Be sure to leave yourself time to enjoy your outing. Faith and fun can go hand in hand. This dating idea incorporates several couples and several homes. All the couples arrive at the first home and enjoy appetizers and conversation. At a preordained time, the group heads to the next location where the next course or portion of the meal is served. Try to limit the group to four couples so that you can enjoy appetizers at one home, a first course at the second home, a second course at the third home and, finally, dessert at the fourth home. Ideally, the parents at each home will have their portion of the meal ready when the traveling dinner party comes to their door. The progressive dinner is a wonderful way to introduce yourself and your friends to each other's parents all in one evening. Volunteering sounds more like work than a date, but you can add a sense of mystery to the outing by only telling your date what type of clothing he will need to wear. Try to be creative in your search for a volunteer job. Most cities have community volunteer services that act as liaisons to local charities and nonprofit organizations looking for help. Look for something unique and memorable; after all, a good date is one you remember years after. Some ideas include umpiring a sandlot baseball game, removing graffiti, visiting a home for the elderly, reading to the blind, working at your local food pantry or driving for meals on wheels. Sure, G-rated movies tend to be mundane, but you can change that by turning off the sound. Get several friends over to watch a movie that you have all seen. Assign everyone a few different characters, and then roll the picture. This is an improvisational game where you put words in the characters' mouths. While most, if not everything, is "off the cuff," try to keep unfolding a story works with what you're seeing on screen. Here's a hint for good improv: Never deny someone. If a character says you are a doctor, then that's what you are. Don't say no, just go with it; be a doctor. If the game drags, fast forward to the next exciting scene. Dress up in clothing from a bygone era---perhaps the roaring '20s or the disco '70s. Do your best to stay in character as you go out for ice cream or just take a walk in the neighborhood. When people approach you with questions about your attire, stay in character. To take it up a notch, start the night by giving each person 100 points and then take away 10 points every time someone breaks character. Take a lesson or series of lessons in a subject or skill that neither of you know. To keep it interesting and in the outdoors, learn a sport or skill like skiing, sailing or scuba diving together. If you and your date continue to see each other, you may find that having a common interest will help foster the relationship. Nari, Tom. "LDS Dating Ideas for Young Women." Dating Tips - Match.com, https://datingtips.match.com/lds-dating-ideas-young-women-6860339.html. Accessed 23 April 2019.